I wanted to share some things I’ve been up to recently. 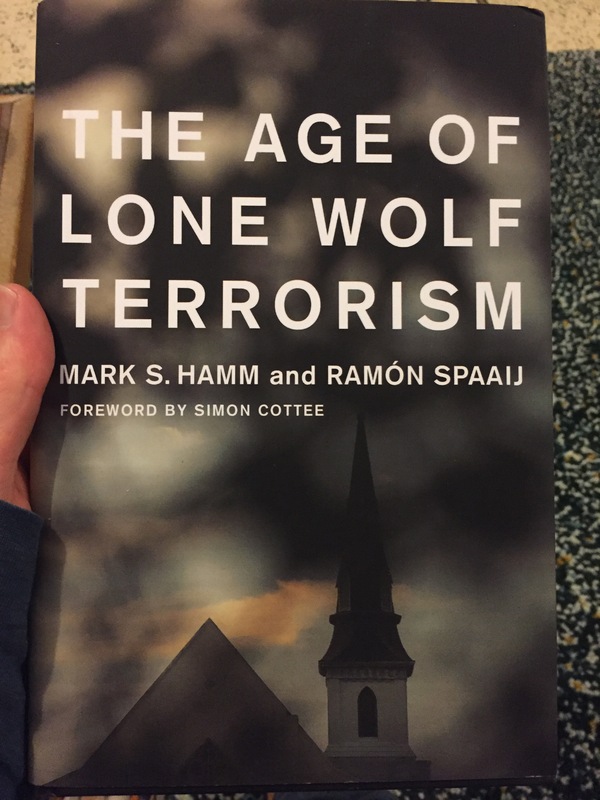 First, I am co-authoring a book on the history of terrorism and counter-terrorism in Australia since the 1960s! I am extremely excited by it. My co-author is Debra Smith (author of this great article), and it will be published by Palgrave MacMillan. In less exciting news, I recently withdrew from the University of Melbourne. However I have not ended the PhD, I will resume it at Monash University. About halfway through last year my primary supervisor (David Malet, who does excellent work on foreign fighters) left Melbourne University for a position at George Washington University. I took a Leave of Absence after that, initially planning to resume my PhD there if I could find another supervisor in my area, but decided instead to return to Monash. I successfully applied and will continue my PhD there, beginning in early 2018. The book will be my main focus for the next six months, before returning to the PhD. I will be working on a few other things in that time, such as my job at APO and some pieces of writing. Also, my podcast with Kate Grealy will be returning. We went on hiatus again and will recommence once we have a bunch more episodes ready to go. We’ve recorded some new interviews recorded, one on militias in Indonesia and one on the role of space technology in the US-Australian alliance, and have several more planned. an article published in July in the Jamestown Terrorism Monitor on the Brighton siege. And I was interviewed by Fatima Measham for the Eureka Street podcast Chattersquare. In other news, some colleagues of mine have some new pieces of research out. Pete Lentini has authored this new article (paywalled) on the Melbourne-based terrorist cell disrupted by Operation Pendennis in 2005, The Neojihadist Cell as a Religious Organization: A Melbourne Jema’ah Case Study. Michele Grossman has co-authored this study on Community Reporting Of Violent Extremist Activity And Involvement In Foreign Conflict. It’s a UK-based replication of an Australian study, which makes it particularly important as it helps terrorism studies to address the Replication Debate. But as we are making use of lots of untapped information, institutions like the National Archives of Australia and the Australian Legal Information Institute are invaluable, and I encourage everyone to support them. That’s it for now, but I hope to update this blog a bit more frequently. We will see!